Property value growth around New Zealand has slowed significantly in recent months and that prompted CoreLogic to analyse what it means for returns on investment properties. CoreLogic senior property economist Kelvin Davidson says that after a long period where average property values rose more quickly than rents, which meant gross rental yields fell, the situation has been reversing a little in recent months. He says it needs to be noted that this hasn’t been due to a pick-up in rents, as that is often linked to tenant income, but rather the slowdown in property value growth. In real terms, CoreLogic’s analysis shows that the highest rental yields can now be found outside the main centres. Davidson says the ten suburbs/towns around the country with the highest gross rental yields have some pretty attractive numbers on offer to landlords. For example, there is a yield of 9.0% in Wairoa (Wairoa District) and of 8.7% in Appleby (Invercargill City). Outer Kaiti (Gisborne), Kaikohe (Far North) and Castlecliff (Whanganui) round out the top five yielding areas. “Add in the growth that some of these areas have also seen in property values over the past year and the total returns look even more impressive – typically at least 20% for the areas in this list”. At the other end of the spectrum, the lowest yielding suburbs are all in Auckland and, if you factor in the dip in values in these expensive parts of Auckland, total returns over the past year haven’t been that flash, he says. 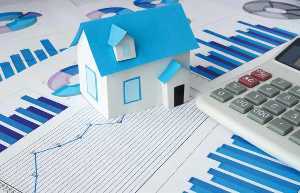 Property value growth looks set to remain subdued in the coming months. Davidson says rents should maintain their normal consistent pace of growth and that means it wouldn’t be a surprise to see gross rental yields continue to rise in the coming months. Meanwhile, the tax ring-fence on rental property losses kicked in on Monday and that will also knock returns for some investors, although it’s not anticipated it will have a major market-wide impact, he adds.